"Best decision we made was to engage Apexus to provide MRS. This would’ve been a daunting task for our company and when we were informed of their services we were not sure what to expect. Apexus staff was professional, friendly, efficient and proactive. They did it all. Overall, top notch services! I would definitely use them again." An efficient and effective refund process is paramount in any industry—and 340B is no exception. There are nearly 40,000 covered entity sites that participate in the 340B program and about 32,000 covered outpatient drugs. When a manufacturer does change a 340B price on a drug due to a true-up or restatement of a Medicaid price such as the best price, the subsequent refund most likely will need to go back to thousands of covered entities. Manufacturers are required by CMS regulation to restate Best Price (BP) data within a three-year window for submission to the Medicaid Drug Rebate Program (MDRP). Some 340B refunds can be based on purchases from several years prior, making identification of the correct individuals to work with at each of covered entities very difficult. Why are 340B refunds common? Before we look at the challenges manufacturers face when refunding covered entities’ overcharges for 340B drugs, let’s look at why those overcharges happen in the first place. It’s a common misconception that all incorrect 340B-priced drugs are due to manufacturer errors. In fact, most of the time when price adjustments are made, it’s because the manufacturers are conducting normal on-going business processes. They review their past market sales data and, if needed, recalculate the reported BP to the MDRP and restate an updated Average Manufacturer Price (AMP) to CMS if a change occurs. Because the 340B ceiling price is based on a formula that uses both AMP and BP as a basis for calculation, covered entities can sometimes be overcharged for a 340B drug. Let’s look at the challenges of the typical 340B refund process from a few different stakeholder perspectives. Manufacturers are not typically staffed to handle projects like refunding money to thousands of health providers (covered entities). Once a manufacturer identifies the covered entities that purchased product at the incorrect price and calculates the subsequent dollar amount of their refund, the manufacturer has to determine how to implement the refund. Many manufacturers have shared with us that they greatly underestimated the time and resources required to refund overcharges. Even the first step of contacting and handling subsequent communication with the impacted covered entities can be extremely time-consuming. The tax form requirements alone can strain their systems. 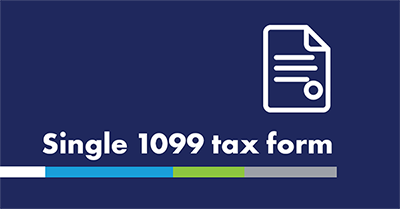 Some manufacturers aren’t prepared to collect W-9s from impacted covered entities, and many of them are required to also send a 1099 form at the end of the year. Investigating who gets a refund, where a check should be sent, and tracking all this information is important but very time consuming. Some manufacturers set up vendor accounts in their accounts payable system in order to generate checks, which is inefficient, especially when the refund may only involve a few pennies. The administrative burden of printing thousands of checks, mailing them out and maintaining auditable records is time-consuming and tedious. Covered entities face their own set of refund challenges. They are often informed of a possible refund when a manufacturer posts a notice on HRSA’s website indicating that a refund is available for purchases that occurred during a certain time period. Upon seeing those notices, covered entities then need to produce a sales history report for the affected NDCs, and for the time period when these purchases were made at the incorrect price. Often, the timeframe of the refund is too long past for the covered entity to produce adequate sales reports for the manufacturer, so the covered entity has to contact its servicing pharmaceutical distributor to ask the distributor to pull the sales data from its archive system. Next, the covered entity has to send the manufacturer the qualifying purchase data to be validated by the manufacturer against historical chargebacks before the manufacturer can process a refund. 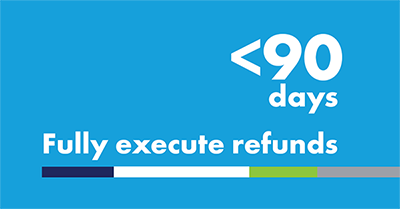 After the covered entity sends its W-9, it must wait for the manufacturer to process the refund check. Distributors, who really aren’t connected to these transactions, often will get involved in helping to facilitate the refund process. As mentioned above, if the covered entity doesn’t have the purchase data immediately available, the distributor is the first place the covered entity will turn to for help in getting purchase records. Since many of these refunds are based on purchases from several years prior, the distributors have to dig into their archived records to pull sales data for their customers who might have been affected by a recalculated 340B price and subsequent refund. Pulling this sales data can be very time-consuming for the distributor and may require retrieving from archived data stored at other locations. Clearly, there are many inefficiencies that stakeholders endure to process a 340B refund. Manufacturers tell us they need an efficient, reliable, compliant, and economical method of processing refunds with covered entities participating in the 340B program. At the end of the project, Apexus provides an executive summary of the project along with a detailed report of all refund activity including due diligence steps to provide an auditable record of the manufacturer’s refund project. The MRS program is an example of how the PVP is able to bring solutions to the marketplace based on stakeholder feedback and needs. Please contact us if you’d like more information about the MRS program by calling 469.299.7325 or drop us an email at MRSinquiries@apexus.com.